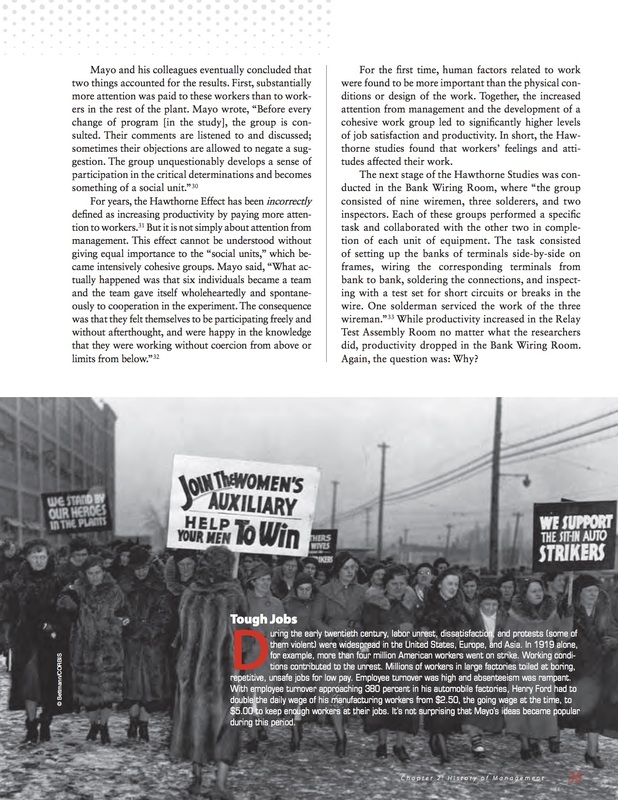 Chuck Williams’ MGMT, a 4LTR Press text used in thousands of classrooms, was developed with B-books’ vision, which matched his storytelling style and thorough research with a magazine look that evokes popular business periodicals. As the developmental editor for this project, I wrote content to support the title, including short boxes on management facts and trends; developed an art program that illustrated key concepts in a manner consistent with the design philosophy and engaging for students; and worked the complex layout, balancing art and text with sidebars and vocabulary words. I also produced supplement materials including video teaching notes, audio scripts in a radio talk-show format, and homework assignments.